Maruti Suzuki India Ltd (MSIL), India's top-selling carmaker, posted a more than 3 per cent rise in net profit during the second quarter of the financial year 2017-18. Maruti Suzuki registered a profit of Rs 2,484.3 crore during July - September 2017, which 3.4 per cent higher than the Rs 2,402 crore it recorded during the same quarter in 2016. This figure even beats the analyst estimates of Rs 2,229 crore profit by a fair margin. Maruti Suzuki sold a total of 4,92,118 vehicles during the quarter, 18 per cent higher than the comparable period from last year. Sales grew across the board for the manufacturer. However, its compact vehicles including the Maruti Suzuki Swift, and Maruti Suzuki Baleno registered a 43.5 per cent growth in sales during July - September, while sales of utility vehicles including the Maruti Suzuki Vitara Brezza and the Ertiga grew 27.7 per cent in the same period. A new version of the popular Swift hatchback, facelift for the Ciaz sedan, as well as a more rugged Celerio X are expected to be launched soon. Maruti Suzuki recently launched the S-Cross facelift in India. 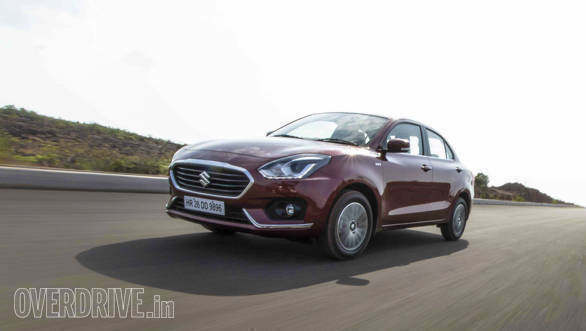 In terms of internal sales, the Maruti Suzuki Dzire compact sedan recently overtook the popular Alto to the spot of highest seller in the country.